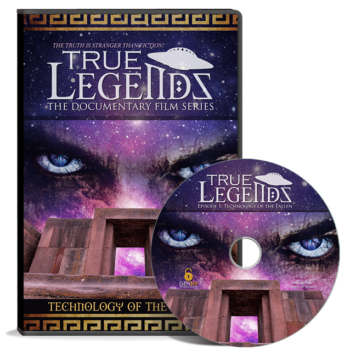 In Episode 1, Timothy Alberino and the GenSix Productions film crew head to the High Plain (“Altiplano”) of Peru and Bolivia on the shores of legendary Lake Titicaca to investigate some of the most compelling evidence on the planet of fallen angels and their giant hybrid offspring in the antediluvian past. 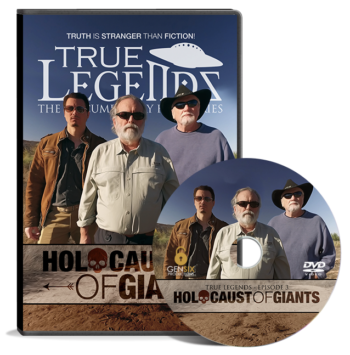 This full length feature film includes cutting edge research that uncovers and publishes, for the first time, historical documentation which proves beyond a shadow of doubt that colossal giants once roamed the lands of Ecuador, Peru and Bolivia; as well as reveals never before seen mind-blowing geoglyphs engraved on the surface of the earth and stretching for hundreds of miles over the Altiplano. Join the crew as they examine the megalithic mysteries of Tiwanaku and confirm that both the Inca and the Spanish chroniclers were well aware of who built Puma Punku, and when. The expedition culminates at the ominous gate of Aramu Muru, where the film crew camps out to determine whether or not this alleged ancient stargate is just a myth, or an authentic, active portal to another dimension. Don’t miss this riveting adventure! From Cusco, Peru; to Rome, Italy; to the island of Malta; join Timothy Alberino and the GenSix Production crew as they follow the path of a conspiracy that gives credence to the old adage… all roads lead to Rome!